Would it not be beneficial to you and your clients to have your case mediated by an actively practicing Board Certified Civil Trial Attorney, who is dual certified in Civil Trial and Appellate Mediation, and who has personally litigated, tried, and appealed multi-million dollar cases involving complex fact patterns with difficult legal issues? A mediator who has been in practice since 1981 and has been Board Certified in Civil Trial Law since 1992. One who is certified as a Circuit Civil Mediator since 1984 and as an Appellate Mediator..
A mediator whose trial practice fields include medical malpractice, products liability, professional malpractice, admiralty, aviation, construction claims and accidents, equipment failures, commercial vehicle accidents, failure to defend, and insurance bad faith. A mediator who has been general counsel to an automobile insurance carrier for 10 years and understands the claim adjusting and handling process. A mediator who currently litigates and tries cases in both the state and federal courts. A mediator who as an appellate attorney, was co-lead counsel in Fabre v Marin, and has been lead appellate counsel in a number of significant appeals in both the state and federal appellate courts. 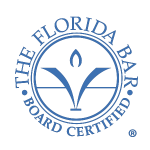 As an adjunct to my trial practice, I am now making myself available exclusively to Board Certified Civil Trial Attorneys and Board Certified Appellate Attorneys to mediate complex cases statewide. I look forward to working with you in the future. Feel free to call or email me for further information.